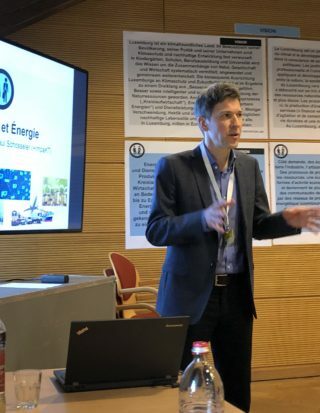 On the 3rd and 4th February, the Ministry of Environment invited 100 representatives from various societal stakeholder groups (large and small companies, institutions, NGOs, citizens) to a climate innovation laboratory, with the aim to enrich Luxembourg’s climate policy with innovative and creative ideas. The participants were split in 4 thematic groups: economy, mobility, housing & consumption, agriculture & food for the development of their solutions during sectoral workshops. 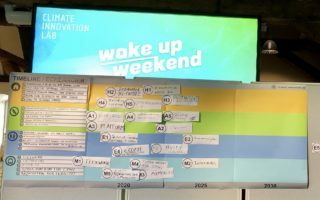 The co-creation methodology developed by Theimpactlab allowed for cross-fertilisation in-between ideas as well as sectors. The outcomes will be integrated by Prof. Dr. Reinhard Loske into the 3rd Climate Action Plan for Luxembourg. +ImpaKT contributed as thematic expert to the economy group, highlighting facts and figures, initiatives and best practices already adopted by Luxembourg’s institutional and economic actors in order to create positive impacts for the protection of the climate. As pointed out on previous occasions, the circular economy has a crucial role to play here, by reducing the demand for grey energy in products through the virtuous cycles of re-use, repair, refurbishment and recycling, starting with an intelligent design. A particular attention should also be given to activating storage mechanisms and processes for carbon both in the biological and technological cycles! previousPromoting co-creation in urban development!